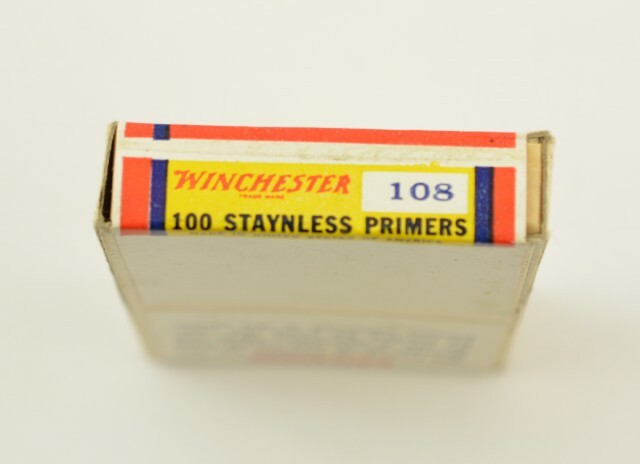 Description: This full sealed 100 piece box of primers is bright and clean. Box was produced between 1946 and 1952. These are small pistol primers. 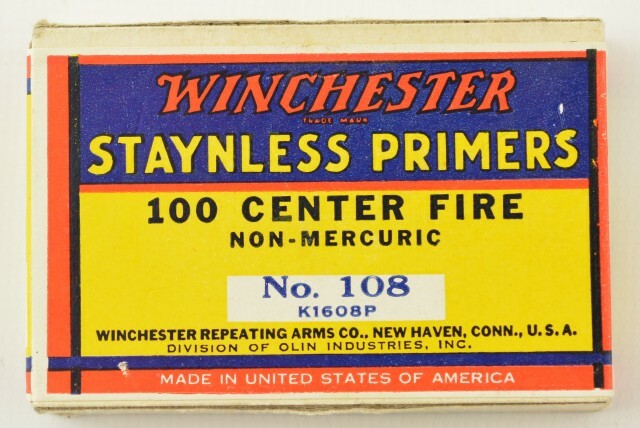 A great display item for the gun room.